Classic design built for years of fast-moving fun. Sturdy enough for adults, too! Remember the days when sleds were built to last and you spent hours racing down hills with your friends? 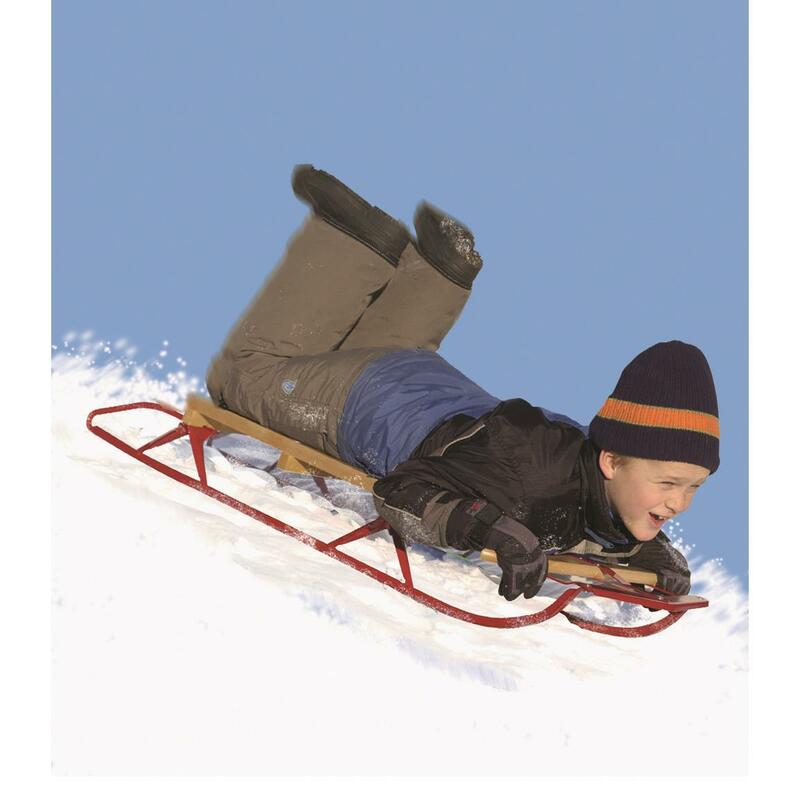 Now your kids can have the same great experience with this seriously fun Flexible Flyer Sled. 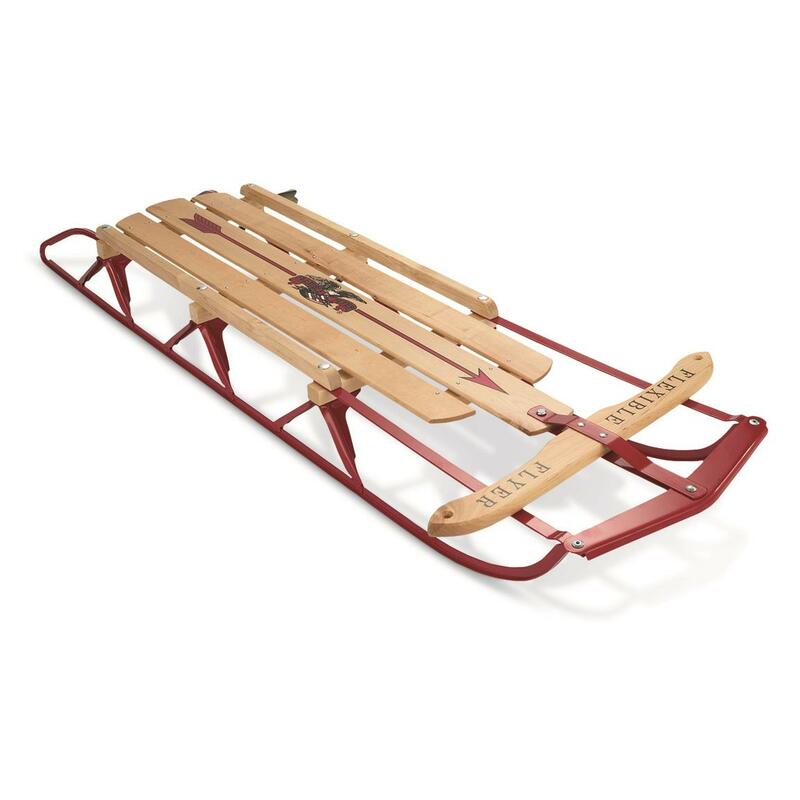 It's built just like the classic sleds of yesteryear, with genuine birchwood, powder-coated steel runners and steerable head. Recommended for kids 5+, and built strong enough for mom & dad to have a go, too! Dimensions: 54" x 21" x 7"h.